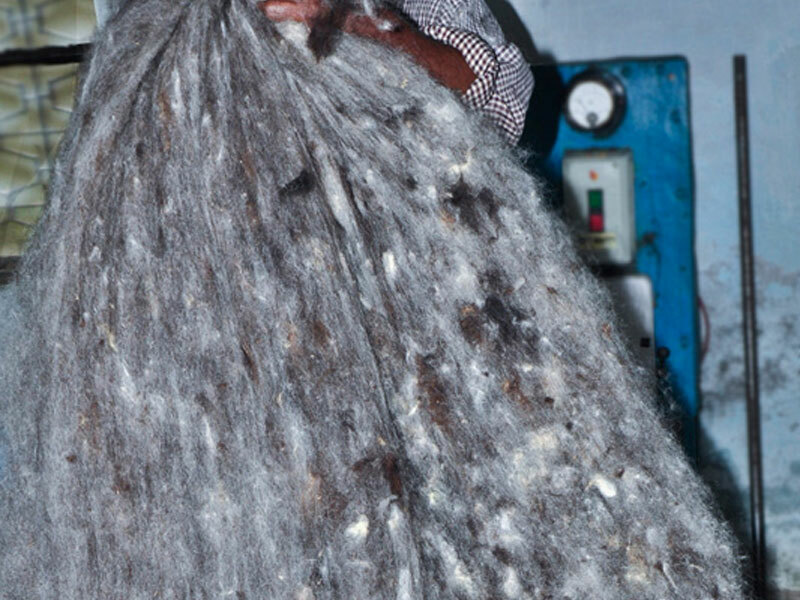 The process of carding starts when trimming is done. 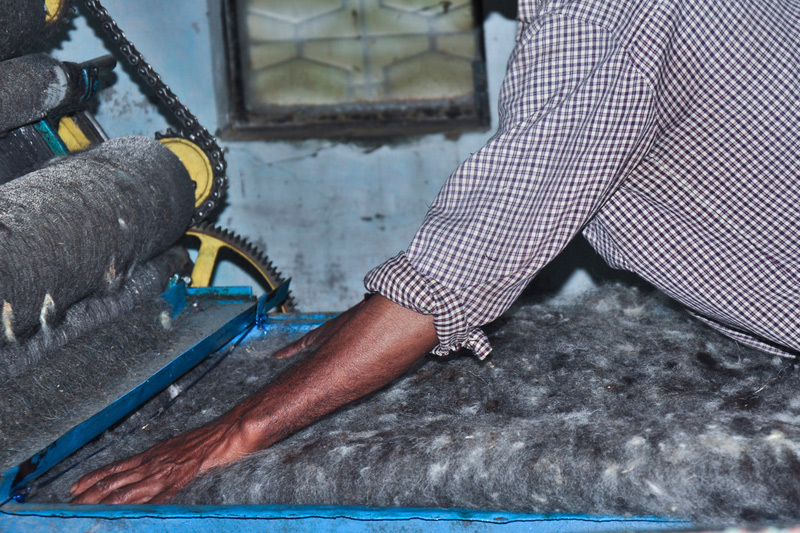 The procured wool is sorted and divided as per the quality grade and color of the wool. 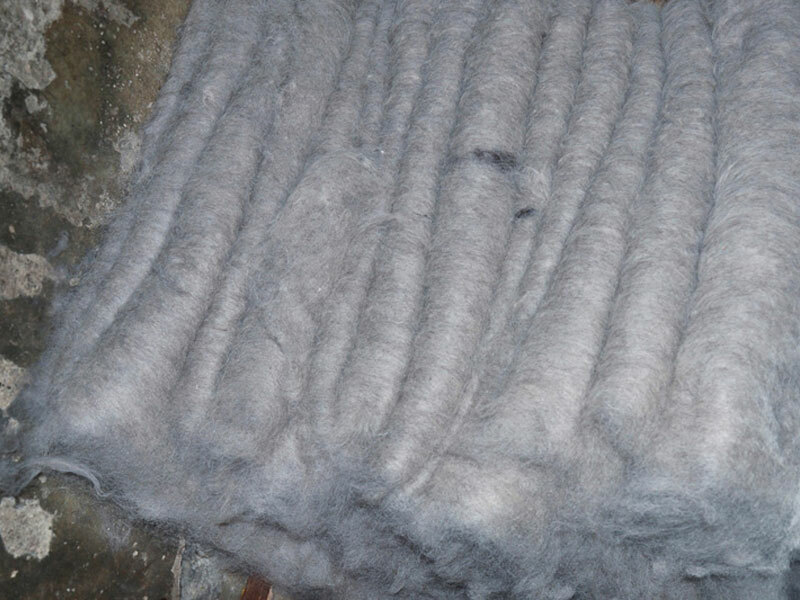 During carding process, the quality wool is cleaned using detergents and dried under sunlight. 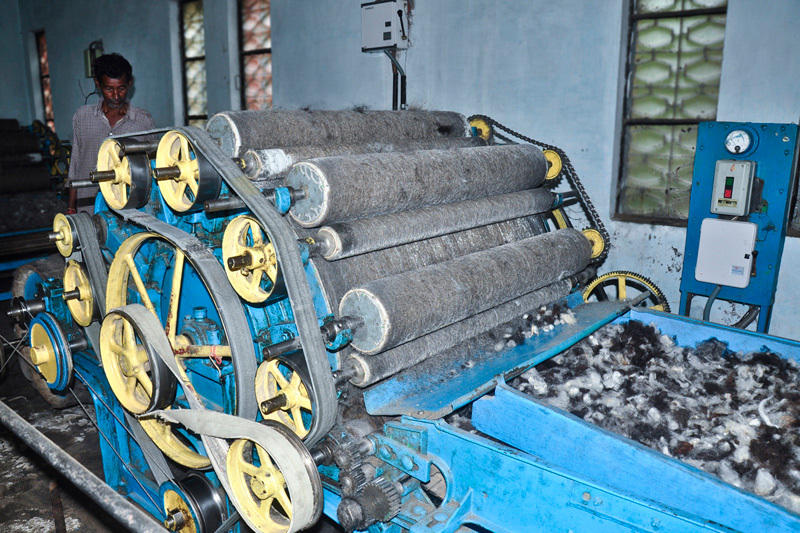 Then the cleaned wool is passed through the rollers of carding machine. 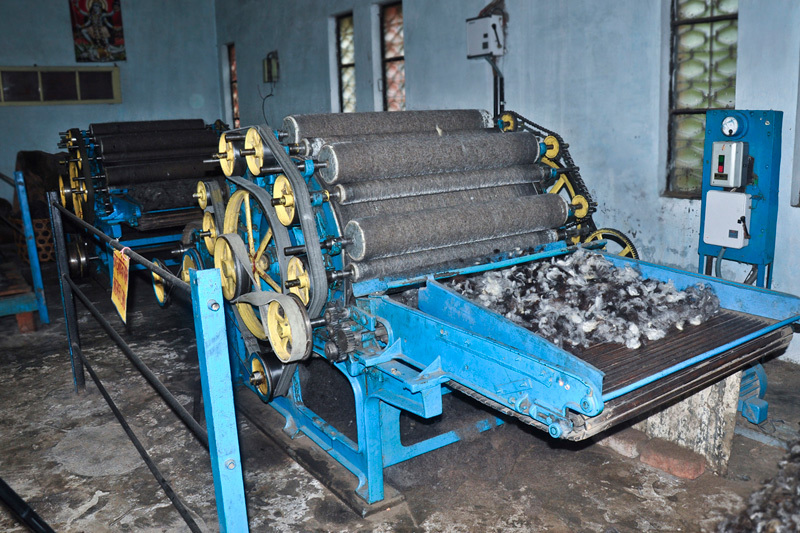 The rollers have thin metal wire called teeth in technical words. 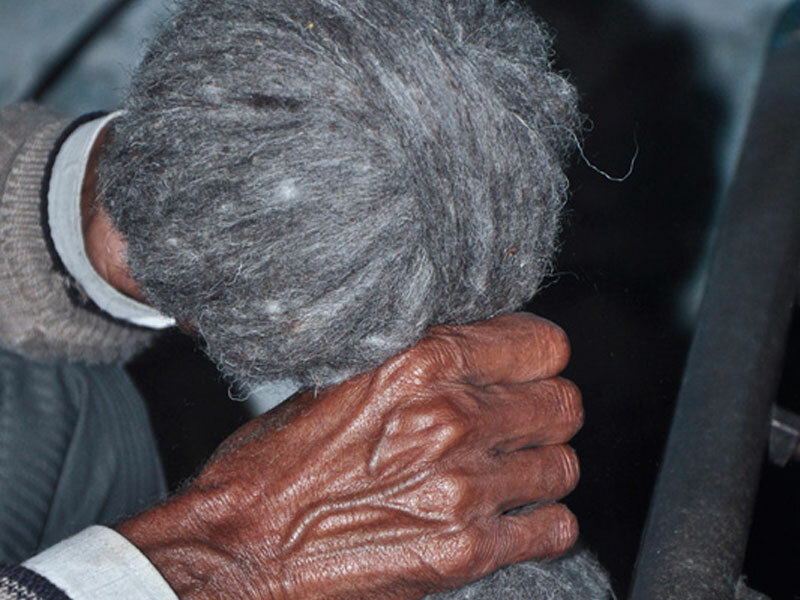 In first step the raw wool is opened and separated which removes the entanglements and dust particles. 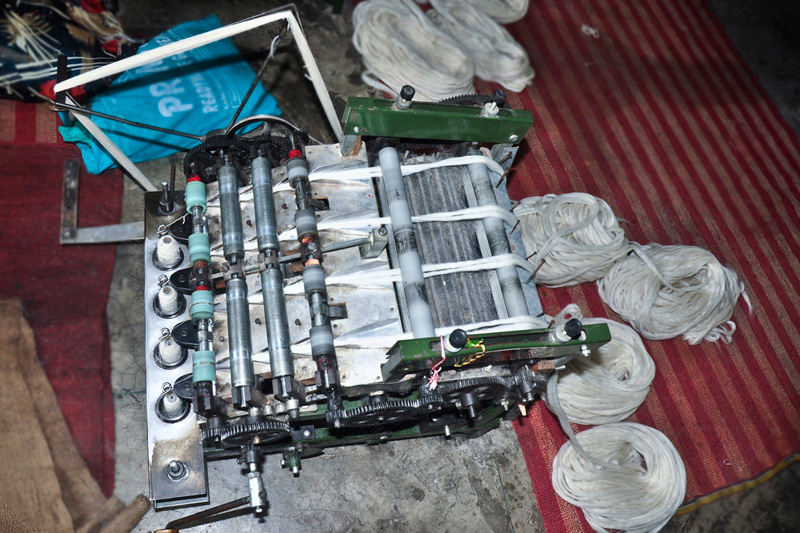 Secondly in the carding machine called the Beaker Carding machine, the wool passes through roller with small thin teeth, which separates the fiber and arranges them parallel to each other. 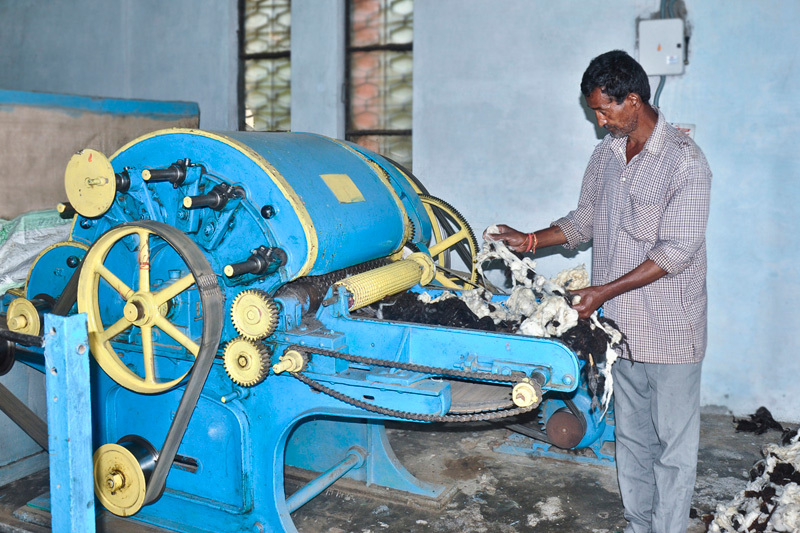 This process converts the wool into a sheet of wool. 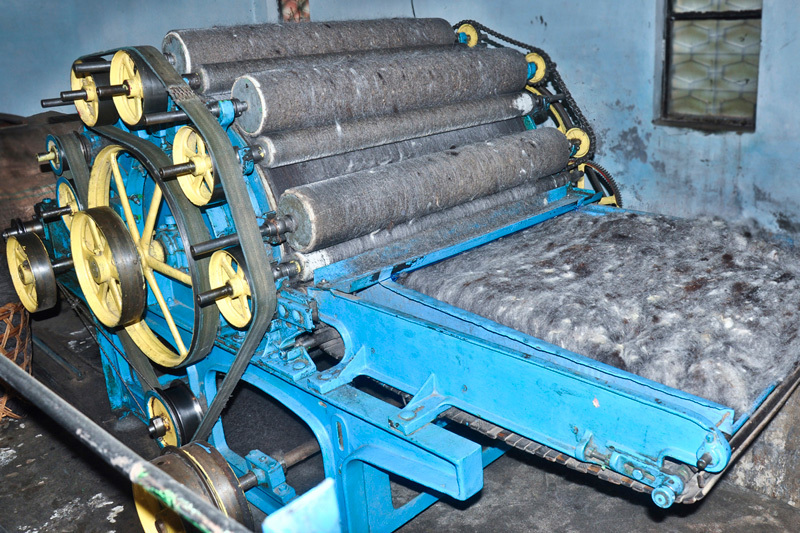 In third step, machine converts the wool sheet into much thin sheet, and a worker twists and rolls it into woolen balls. 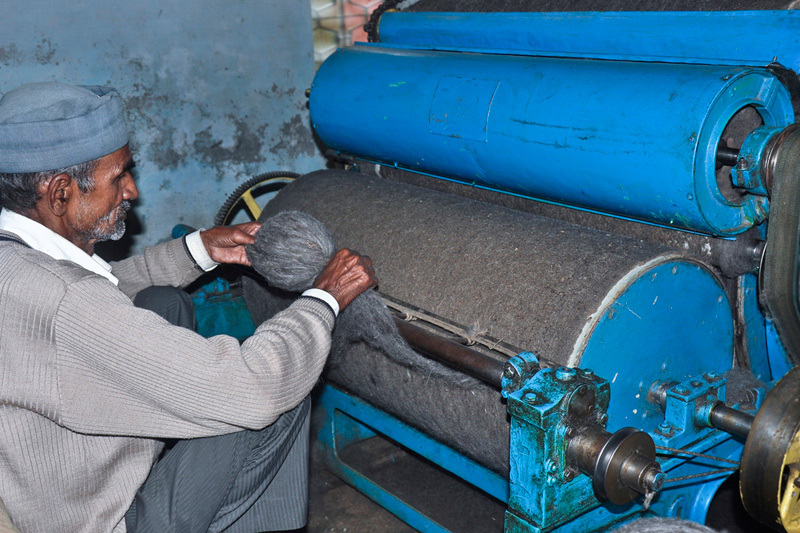 These woolen balls are fixed to a spinning machine called Ambarsar. 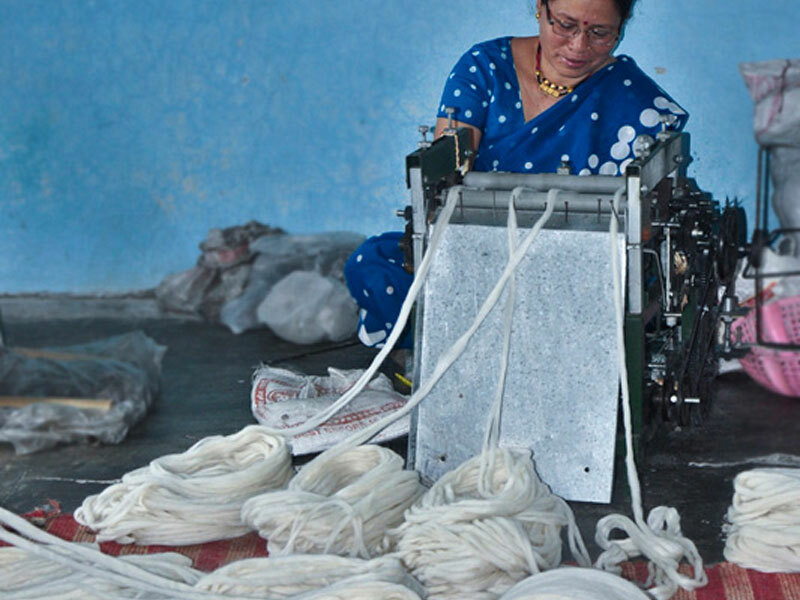 The wool are processed into thin woolen thread and spun on spindles. 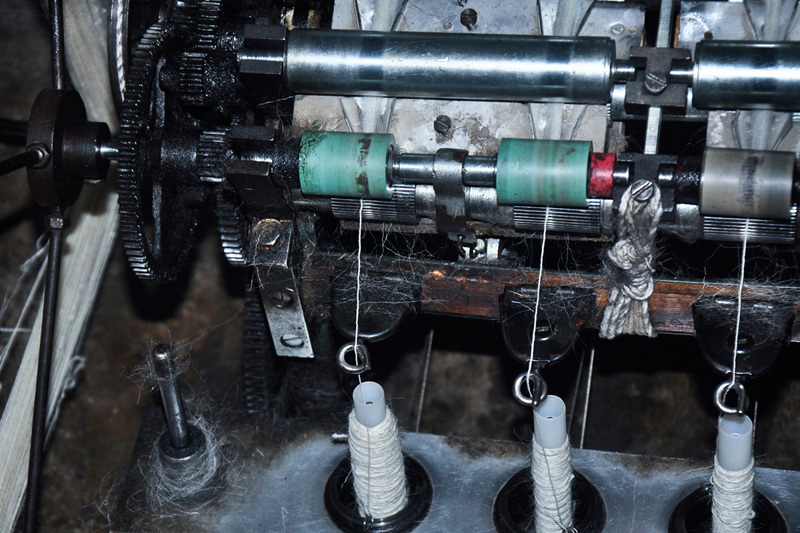 The thread is again spun into woolen yarn from the spindles. These yarns are weighed and sent for coloring process.